How hard is it to permanently delete text messages? Our interview with the Boston Globe during the summer of 2015 about Tom Brady’s text messages of which I said, “The likelihood of it being an accident is well less than 1 percent.” Click on the photo below to read my interview with the Globe. Carney Forensics was quoted once again this year on top trends shaping mobile forensics for 2014 by Yahoo! 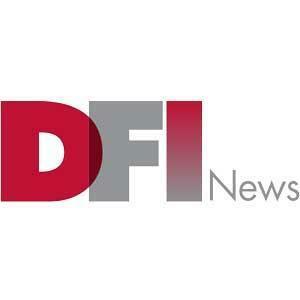 Finance, Reuters, IT Business Edge and DFI News. We were pleased to be asked by Cellebrite to share our views on key drivers shaping the future of the industry. This is the inaugural blog post on Carney Forensics.com and Part I of a two part post. Why start a forensics business serving attorneys, investigators, and government agencies by collecting, analyzing, and producing digital evidence on portable handhelds? Back in the Year 2000 only 37% of the U.S. population carried and used a mobile phone. Today 100% of us do. And today many of U.S. households are “wireless only”. Yes, we are a mobile culture and we communicate incessantly. Today we do it on mobile and smart phones, and as a result industry analysts predict that in three years mobile phone sales will outpace personal computer sales. Four business drivers have propelled this mobile forensics business idea: It’s coming and it’s a game changer. It’s mobile. It’s visual. And clients need guidance and practical assistance to leverage its many advantages in the court room and in the enterprise. For years evidence from cell phones has been obtained from service providers like Verizon, AT&T, and Sprint in the form of business records. Legal process and the approval of the court were required. Other red tape and delays often ensued and the records were often difficult to interpret and understand. Help was rarely available from service providers whose business was selling phones and minutes. Requesters could obtain subscriber information and call detail records which consisted mainly of incoming and outgoing call logs. Sometimes location data from the base stations of cell phone towers could be obtained, but it was usually imprecise and extremely difficult to interpret with any accuracy. Business records also fail to report on the multimedia and messaging innovations that have propelled the mobile phone into the role of our personal diary or alter ego. Mobile phone service providers do not have access to, nor do they track, photos, videos, audio clips, ringtones, and phone address books. They track text messages and multimedia messages only for a few days and many of them don’t track them at all. They are practically impossible to obtain as part of business records. What options do attorneys, investigators, and corporate personnel have given the limitations and deficiencies in cell phone business records? Stay tuned for Part II of this post.